It has long been proven that diversity makes a positive impact on business results. In line with that, more organisations are placing an increased commitment to the issue. However, a new report found that in contrast to what companies say about their commitment, little progress has been made. As pointed out in the Women in the Workplace 2018 report by McKinsey & Company and LeanIn.Org, only around half of all employees think that their organisation sees gender diversity as a priority and is doing what it takes to make progress. While 76% of companies have articulated a business case, only 13% have taken the critical next step of calculating the positive impact on the business. To make things worse, about 20% of staff say that their company’s commitment to gender diversity feels like lip service. Here are four areas companies can improve on, as highlighted in the report. Despite that, only 38% of companies were found to set targets for gender representation; only 12% shared a majority of gender diversity metrics with their employees; and only 42% held senior leaders accountable for making progress toward gender parity, with even fewer holding managers and directors accountable. The two biggest levers for changing the representation of women across the pipeline are hiring and promotions. Yet companies are not hiring and promoting women and men at equal rates, especially at the entry and manager levels. Part of the problem lies in the lack of end-to-end processes to ensure fair practices. Fewer than one in three companies were found to set diversity targets for hiring and promotions; less than one in four used tools to reduce bias when reviewing resumes; and fewer than half required diverse slates of candidates for external hiring, with only a quarter requiring them for internal promotions. At the same time, very few companies train employees to recognise and push back against bias in hiring and promotions. Just 19% of companies required unconscious bias training for employees involved in hiring. A mere 4% required training for employees involved in performance reviews. And only about a third reminded employees to take steps to avoid bias at the outset of both processes. Senior leaders and managers are critical to driving organisational change. But companies are not giving managers and leaders clear direction when it comes to improving gender diversity. Senior leaders set the agenda in organisations. 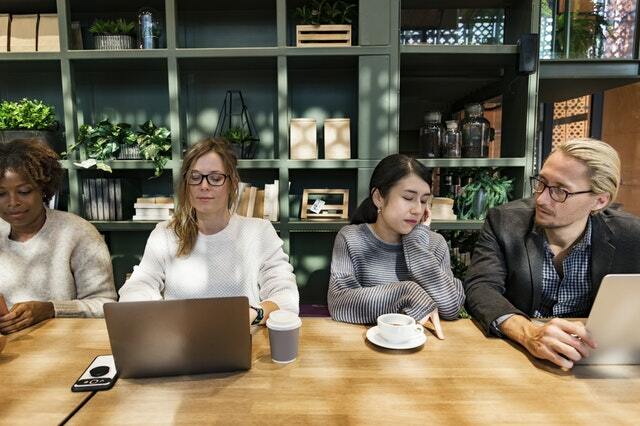 However, only about one in three employees found that senior leaders encourage an open dialogue on gender diversity and provide guidance on how to improve gender diversity. At the same time, just one in five employees felt leaders are held accountable for results. Managers make the day-to-day decisions that shape employees’ experiences. Yet, less than a third of employees said managers often challenge biased language and behavior when they see or hear it; and just one in four said their manager provides guidance on how to improve gender diversity. To increase the representation of women at all levels, companies need to find more ways to help employees balance work and family. Many workers juggle between raising children and running a household, as well as building a career. Although balancing work and family is an issue both for both genders, it continues to weigh more heavily on women. While most companies offer some flexibility such as the ability to work part-time or telecommute, fewer address the unique challenges faced by parents. Less than two-thirds of companies offered maternity leave beyond what’s required by law, and just over half offered fathers the same benefit; far fewer had programs designed to ease employee transitions to and from extended leave; and ongoing support for parents – like subsidised or on-site child care – is still uncommon. “Programs like these make a difference: it’s easier to focus on your job when you know that your children are well cared for,” the report concluded. Previous Previous post: Travel benefits affect performance: How? Next Next post: Do Your Employees Have Buyer’s Remorse?